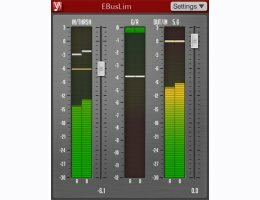 EBusLim is a brickwall peak limiter and loudness maximization plug-in for professional music production applications. 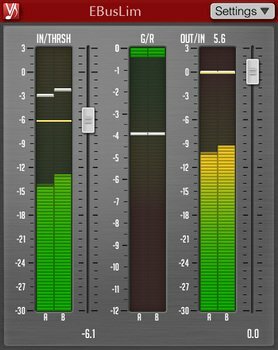 It implements a single EL-4-based limiter mode originally designed in Elephant mastering limiter plug-in. This mode is suitable for bus, drum bus, master bus and track processing. The design idea behind EBusLim is to produce an extremely easy-to-use yet effective limiter.